Original Editors - Suzanne Shelburne from Bellarmine University's Pathophysiology of Complex Patient Problems project. 17% of all the population will have kidney stones in his or her life. Average onset of kidney stones is over the age or 30 years old. People who have had kidney stones previously are at an increased risk to have a second episode of kidney stones. Kidney Stones can be one of the most painful urologic disorders and kidney stone have been increasing in the population over the past 30 years. "In the 1970s, less than 4 percent of the populations had stone-forming disease. By the early 1990s, the portion of the population with this disease has increased more than 5 percent." Doctors are uncertain why these stones form in particular people and not others. Kidney stones usually do not have one defined cause, some common theories are that certain foods may cause stones to form, family history of kidney stones, infection, other kidney disorders and some metabolic disorders. .
"Severe pain in the side or back that will not go away"
Stones usually will begin causing these common signs and symptoms once the stone is blocking the outflow of the urine from the kidney into the bladder. As of now, not enough research has been completed on kidney stones to link any co-morbidity to this disorder. 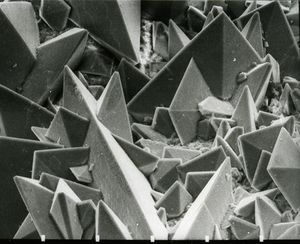 Research is currently being analysis to see if there is a connection between a history of kidney stones and Chronic Kidney Disease. Medication is often not needed when dealing with a kidney stone. Doctors will commonly prescribe pain medication for a kidney stone because passing a small stone can be very painful. The doctor usually orders the patient to drink "2 to 3 quarts of water a day" to help pass the stone through the urinary system. If the patient is unable to pass the stone surgical intervention may be needed. 3. Does the stone block urine flow? 4. Is the stone causing an ongoing infection in the urinary tract? 6. Has the stone grown larger? Urine can be sent for a urinalysis and culture to check for infection within the urinary tract. There are many different factors that may cause kidney stones to form. Doctors do not always know why a person may get a kidney stone until the stone is sent to the lab for further testing. Doctors believe that life-style, family history, and certain diseases play a big role in people suffering from kidney stones. Diet (life-style) is thought to have a role in the formation of kidney stones. Foods and drinks containing oxalate are thought to make people more prone to forming calcium oxalate stones. Foods that are high in oxalate are spinach, beets, Swiss cheese, soybean crackers, chocolate and sweet potatoes. People that are trying to prevent a second episode of kidneys stones may be asked to monitor their in-take of these foods. As stated earlier, family history/personal history of kidney stones may have an increased risk to develop this disorder. People with the past family history/personal history are thought to have a 30 percent more likely chance to develop kidney stones and are often put on a preventive program. Lastly, doctors believe that certain disease put people more at risk for developing kidney stones. Urinary tract infections, cystic kidney disease, and certain metabolic disorders all make people more susceptible. "In addition, more than 70 percent of people with a rare hereditary disease called renal tubular acidosis develop kidney stones." Many of these patients that do have this disease will be put on a preventive plan to help decrease the risk of development of kidney stones. Kidney Stones are usually not a medical emergency and will pass with normal flow of the urine, therefore does not have major systemic involvement with the rest of the body. However, kidney stone have been linked to several disorders such as connective tissue disorders, gastric disorders, metabolic syndrome disorder, immunologic disorders and eating disorders. "Raised serum calcium level in 2-63% of sarcoidosis patients due to overproduction of vitamin D by sarcoid granulomas, which can lead to kidney stones as a result of abnormal calcium metabolism." Extracorporeal shock wave lithotrispy is a sugerical medical management of kidney stones that is most commonly used and the best current evidence for the removal kidney stones. "In ESWL, shock waves that are created outside the body travel through the skin and body tissues until they hit the denser stones. The stones break down into small particles and are easily passed through the urinary tract in the urine. Several types of ESWL devices exist. Most devices use either x rays or ultrasound to help the surgeon pinpoint the stone during treatment. For most types of ESWL procedures, anesthesia is needed." Kidney Stones are managed medically but physical therapist can play an important role in screening patients for kidney stones and helping these patient seek proper medically attention. However, kidney stones can present as a musculoskeletal problem therefore therapist should be aware of some of the key questions and evaluation techniques to screen for kidney stones. ↑ 1.00 1.01 1.02 1.03 1.04 1.05 1.06 1.07 1.08 1.09 1.10 1.11 1.12 1.13 1.14 1.15 1.16 National Kidney and Urologic Disease Information Clearinghouse. Adult Kidney Stones. Available at http://kidney.niddk.nih.gov/Kudiseases/pubs/stonesadults/. Accessed on February 17, 2010. ↑ 2.0 2.1 2.2 2.3 2.4 2.5 2.6 MayoClinic Website. Kidney Stones. Available at http://www.mayoclinic.com/health/kidney-stones/DS00282. Accesses on February 17, 2010. ↑ 4.0 4.1 4.2 Drug Information Online. Kidney Stones. http://www.drugs.com/search.php?searchterm=kidney%20stones&is_main_search=1. Accessed April 8, 2010.